LTTS brings years of domain experience with solutions backed by industry leaders like Cisco, National Instruments, and Siemens. We specialize in rail, air, commercial, and passenger transport, helping customers meet and exceed global transport safety protocols, emission standards, and regulations. Our 360-degree service suite spans design, development, sourcing, and manufacturing informed by a strong legacy of engineering excellence. We collaborate on every stage of the MRO process, strengthening aviation assets and ecosystems via our R&D-backed services. We help OEMs reimagine essential features and reinvent vehicles for a safe, engaging, and intuitive driving experience. Cutting-edge signaling systems is our focus area and we provide full RAMS support for systems & fleet management. With 15+ years of domain experience, across 40+ vehicle types, we streamline product development and new features design/testing. We were preferred partner for a European automotive OEM, bringing ISO26262 and AUTOSAR expertise, and complete support for software lifecycles. A repository of over 150 co-authored patents helps us outline new ideas, adopt ground-breaking methodologies, and ensure long-term impact. Our services are ‘glocal’ and customer-first, tailoring each experience for unique business and locational requirements. To address vulnerabilities, we ensure stringent compliance, reinforced data protection, and consistent safety standards across policies, designs, and processes. Flying Green: The Electric/Hybrid Future of Aerospace – Discover how new aviation ideas could impact costs and sustainability. Matching Your Infrastructure’s IQ with that of Your Autonomous Cars – 3 ways driving ecosystems could be overhauled. Increasing costs and new international mandates have led to a shift in manufacturing. We explore ‘onshoring’ & why compliance is essential. IoT meets yesterday’s airports and the result is an ‘Aerotropolis’. Here’s our vision for digital, connected, and people-centric spaces. 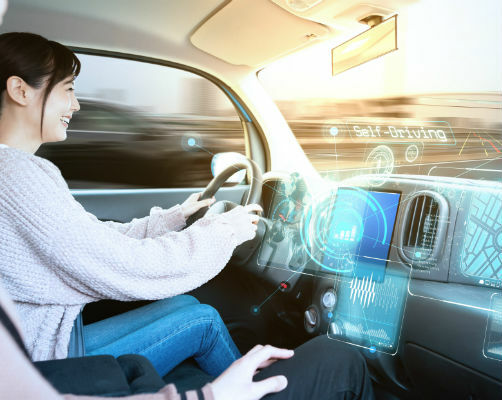 With the average age of vehicles now at 11+ years, is digitalization the answer for improving aftermarket service quality?